Kotler defines a service as “any act or performance that one party can offer to another that is essentially intangible and does not result in the ownership of anything. Its production may or may not be tied to a physical product.” With every passing day, manufacturers, distributors, and retailers are providing value-added services and/or customer services to differentiate themselves. With growing emphasis on services, it is fairly obvious that it needs to be marketed well too. This emphasizes on the importance of service marketing in today’s world. Contrary to a lot of common perception, services marketing covers the marketing of both goods and services, and not services alone. The term ‘services’ in this context refer to both business to consumer (B2C) and business to business (B2B) services. Common examples of service marketing are found in air travel, health care, financial services, hospitality services, IT services, etc. 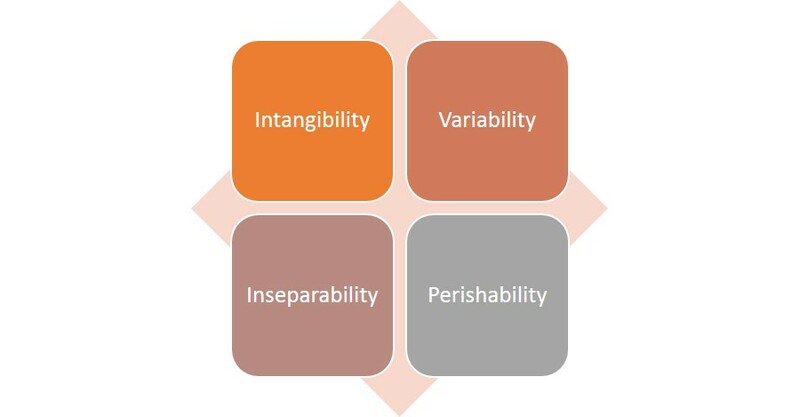 The 4Ps used in Product Marketing Mix (i.e., Product, Price, Place, and Promotion) remain and are joined by three other Ps, namely – People, Process, and Physical Evidence. – People – They include employees as well as customers of the organization. While on the employee side, the focus is on proper recruiting and training of workers, motivating them to perform to the best of their abilities, and duly rewarding them for their efforts, on the customer side, it involves engaging them throughout the purchase process and educating and supporting them about the offered service. – Process – This includes the entire service process, along with its proper monitoring and control. – Physical Evidence – This includes attributes like the design and layout of the place where the service is being offered, uniform and behaviour of the employees providing the service, add-ons, if any, being provided with the service, etc. – Intangibility – Services are something in which a customer only gets an outcome or a solution, but not a physical product that he can hold. Hence, there is no tangibility per se. Therefore, the intangible is tangibilized through physical evidence and presentation. Eg – layout of the place, quality of employees, communication material provided, symbols used, etc. – Variability – The quality of the service offered is highly subjected to who offers it and when and where is it being offered. This basically introduces an element of variability. Therefore, the organization must suitably invest in people and processes to ensure that the services being offered are standardized and consistent as much as possible. Also, proper feedback from customers and other stakeholders must be taken into account to ensure that people are getting what they are expecting. – Inseparability – The nature of services is such that it is often not possible to separate it from the person(s) providing it. Hence, once again standardization of providing the service comes into play in order to ensure that the process is not dependent on any person – or, in other words, with proper training and expertise, any person should be able to provide the service. – Perishability – One of the major disadvantages or shortcomings of any service is that that it cannot be stored for later. If it is not sold then and there, then the capacity going into providing it, goes to waste. Thus, services are perishable. Perishability can be tackled from two sides – the demand side and the supply side. From the demand side, the initiatives taken may include shifting demand from peak to off-peak periods using differential pricing, and putting in place a reservation system. On the other hand, the supply side initiatives include increasing the participation of consumers, implementing self-service technologies (SSTs) and thereby reducing the workforce, employing part-time workers when the need arises, or outsourcing providing of services to third parties. 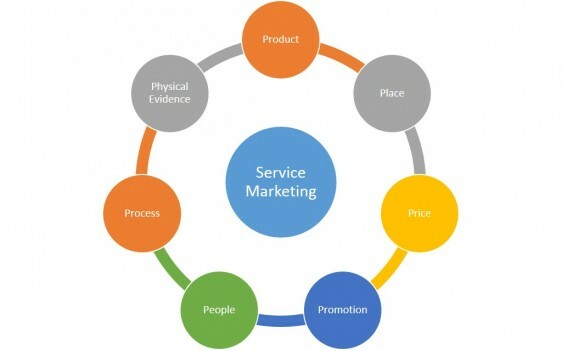 It must be kept in mind that services marketing is not only important for service-based organization, but also for companies that sell products. This is because product-based organizations need to provide after-sales services for the upkeep of the products that they have sold. In order to differentiate the quality of service, providers must understand the level, frequency, and kind of service that the customers seek. At times, even the customer might not be explicitly aware of what she/he wants. Then it is completely the experience, credibility, and/or gut feel of the organization to put a particular kind service on the table. An ideal service mix will comprise optimum levels of both pre-sale and post-sale services that would make the value offering attractive to customers. For that to happen, there must be an equilibrium of understanding among the customers, employees/workers of the company, and the management.